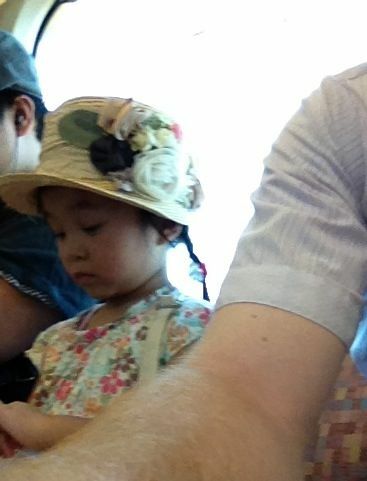 This little girl ‘shushed’ me on the train. Disgruntled housewives haven’t been the only source of aggravation since moving to Tokyo. It’s been three months now. The sheen has a few smears. 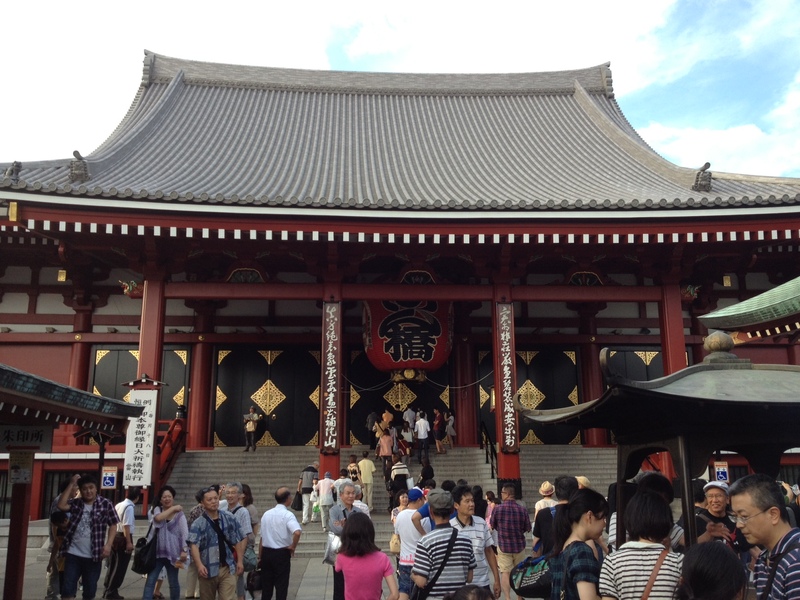 The following gripes will be no surprise to anyone who has spent time in Tokyo. In fact, the crowded trains are something even the natives complain about. The trains are like a dorm fridge stocked with Busch Light on a Friday night. And they smell like a dorm room on a Sunday morning. I somehow scheduled my work hours to ensure I will be on the train during the three different rush hours: 8 a.m., 5 p.m. and 11 p.m. In addition, I have to change trains at two of the busiest stations – Tokyo Eki and Shinjuku Eki – which make them two of the busiest train stations in the world. The 8 a.m. isn’t too bad unless you are in a hurry. Most people move like zombies. The worst time to be in a hurry is on the weekends. You get stuck with the shopping/sightseeing traffic, which includes sluggish teenagers – whispering and giggling, with no care in the world – the elderly, clogging the fast lanes with their walkers and canes, and then you have the tourists, dawdling in circles, staring at the direction signs above like they will reveal the location of the last fragment of the Triforce. It is during these occasions at the train station that I go into what I call punt returner mode. Back in the 8th grade I was the punt returner for the Holmes Junior High Tigers football team. If memory serves right, I was pretty good. Maybe even the best. When I am in the train station, I enter the punt return zone. The tiny Asian folk are would-be tacklers and I have to evade them like Barry Sanders at a Klan rally. Sometimes I have to be careful not to switch sides and go into gunner mode. I don’t want to go all James Harrison on some poor unsuspecting Asian dude. If I get deported back to Iowa, you’ll know why. But after 11 p.m. (or 23:00 as they say here) the trains are the worst. This is when you get the bar crowd. And there is a bar crowd every night of the week. The Japanese businessman loves to drink. He leads a stressful life. At the age of 18 he gives up all freedom to go to a 4-year-college, then enters a company as a low-level employee, marries some chick in accounting so he can move into a larger company apartment and then waits to die. The only thing these guys have to look forward to is getting totally smashed when they finally leave the office at 9 p.m. They get on the last train and either promptly fall asleep or, if they can’t find a seat, hang on to the overhead strap like a brown helicopter seed clinging to the branch of a maple tree. Either way, it’s annoying as hell. The best way to combat it is to be stinking drunk yourself. At least, that is my preferred method. Lisa could probably give you better advice. The problem with being a gaijin riding the train is that these bumbling drunks are the only ones who will sit next to you. This is another well-known fact among the ex-pats living in Tokyo – the Japanese do not sit next to foreigners on the train. It is a little disconcerting. I have been pestering Lisa as to why this happens, and she finally told me that the Japanese don’t think foreigners are clean. Granted, they have a point, but dammit, I shower every day. I even wear deodorant, not like those heathen Europeans. But I get lumped into the same boat as the unwashed masses. And whenever I take a seat on the train, the open spot next to me is always the last seat to get taken. There will be 15 people standing, and yet nobody will sit next to me. Granted, when I was taking the train from Philly to Atlantic City everyday, there was the occasion when I would stand next to the door rather than sit next to a black person. No, wait a minute. Sorry. It wasn’t different at all. The train situation has gotten to the point where I don’t even sit on the train. Even if there are 10 seats in a row, I will stand, just so some poor Asian won’t have to suffer the indignity of sitting next to a smelly, white dude. That being said, my gripes seem pretty sour compared to how sweet everything else is in Japan. I am still amazed at how choice food. The gardens are still the most immaculate in the world. And the train system, despite its faults, is never late. I think I’ll stay a while.